Earlier in November, we hosted Don Tapscott at Work-Bench for a sold out, 300 person keynote address on his best-selling book, The Blockchain Revolution: How the Technology Behind Bitcoin is Changing Money, Business, and the World. One of the world's foremost experts on blockchain technologies, Don Tapscott showed how blockchain has the potential to become a foundational technology, one that is used in a wide variety of applications across all major industries - with the potential to transform the way enterprises around the world operate. The sold out audience and the diverse group of attendees, which was evenly split between blockchain-oriented startups and corporates, demonstrates that we're on the cusp of some very interesting use cases and applications of this emerging technology. Watch the full video in its entirety below. From leading Fortune 1000 executives to enterprise entrepreneurs with hundred million dollar exits, our mentors at Work-Bench are part of the heart and soul of everything we do. Given the unique set of procurement, sales, and pricing challenges enterprise startups face, and when all it takes is one contract to make or break an early stage enterprise startup, we've seen time and time again how valuable it can be to hear the buyer's perspective or have a voice on the other side of the table. So with that, we're excited to add three new mentors who we've seen demonstrate their value time and again. Please join us in welcoming Scott Coleman, Scarlett Sieber, and Andrew Stern to the Work-Bench family. From our 50+ executive briefings a year with teams from the likes of Merck, Samsung, Santander, UBS, and Cushman & Wakefield, to our countless Fortune 1000 roundtables and breakfasts, corporate engagement is at the heart of everything we do at Work-Bench. Over the past two and a half years of connecting Fortune 1000 executives with our community of startups, two things have become clear: (i) how generous some individuals are with their time and expertise to support our community and (ii) how helpful mentors can be in everything from accelerating go-to-market strategies to providing critical insights on product roadmaps, enterprise use cases, and even technical architecture. Which is why, today, we’re excited to welcome a select group of those individuals, who have gone above and beyond in their support of Work-Bench and our community, into our family as Work-Bench mentors. Among them, you’ll find leading Fortune 500 executives, current and former CISOs and CTOs of some of the world’s largest financial institutions, and a wealth of unmatched experience across markets. One thing they all have in common though is their unwavering leadership, domain expertise, and passion for helping grow the next generation of enterprise entrepreneurs. Over the next two days, we're excited to be teaming up with Lander Analytics to bring you the second annual New York R Conference at Work-Bench. The sold out conference will gather 250+ of world's top R enthusiasts and data scientists to hear from prominent speakers within the community. Featuring presentations and talks from leading data scientists at Airbnb, AT&T, Columbia University, eBay, Etsy, News Corp, RStudio, Socure, and Tamr among many others, the New York R Conference was created to encourage collaboration and foster shared learning within the data science community. While focused on R, a number of expert speakers will also speak on Python, Julia, and database architecture. The corporate M&A cycle can sometimes feel like a black hole of mismanaged time, distracting meetings, and false hope. Paul Graham even went far enough to write Don’t Talk to Corp Dev, in which he compared corp dev teams to robber barons and argued that it is a costly mistake for founders to engage with corp dev teams if they don’t have immediate plans to sell their company. However, especially given the nature of enterprise technology, this is not always the case for startups selling to the Fortune 500. 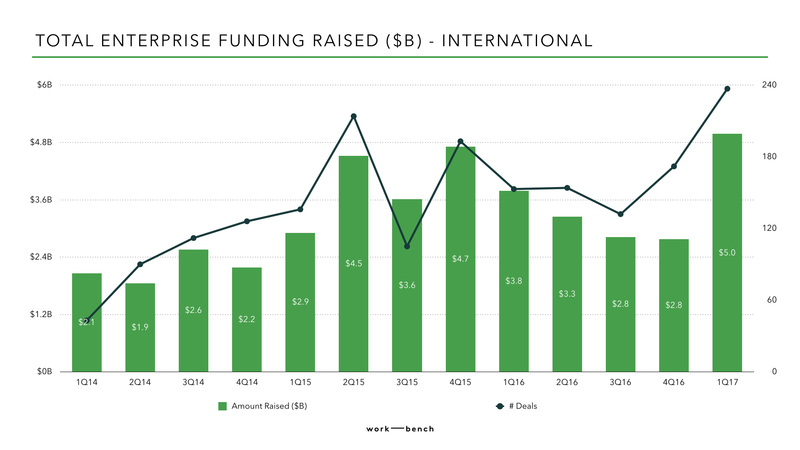 Corp dev teams can bring a lot of value to the table for enterprise technology startups, and the benefits of interacting early with a corp dev team can extend far beyond acquisitions talks down the line. Earlier this month we were thrilled to host our first official New York Enterprise Technology Meetup (NYETM) at Work-Bench. Founded, organized, and led by our Venture Director, Jon Lehr, the NYETM fosters innovation in the NY enterprise technology ecosystem by promoting early stage tech companies, supporting entrepreneurs, educating startups on how to work with large organizations, and creating an environment where entrepreneurs, investors, and businesses can all network and learn from one another. For the past 3.5 years, Cooley LLP has graciously supported the NYETM by hosting the meetups at their office. Given that we’ve built out our event space at Work-Bench and the similar mission we have as the NYETM, we're thrilled to announce that the NYETM has a new home at Work-Bench. On a monthly basis, we'll feature demos from top-tier enterprise tech companies from around the country, and sometimes even the world. We’re excited to announce that we’ll be teaming up with Lander Analytics to bring you the first-ever New York R Conference. Gathering industry leading R enthusiasts and data scientists from academia, startups, and Fortune 1000s, it will be two days full of speakers from the R and data communities discussing theoretical and applied topics such as Shiny dashboards, Bayesian methods, high performance computing, and data visualization. Speakers include Andy Gelman and Chris Wiggins from Columbia University, Hilary Parker from Etsy, Rachel Schutt from News Corp, James Powell from For Python Quants, and many more. Use the code WBVIP for $100 off tickets, and we hope to see you there - it's going to be a fantastic two days! Be sure to register soon - tickets are going fast. Like many of you in the tech industry, we were taken aback when we heard the news about Gigaom shutting down. We were big fans of their coverage of enterprise tech, and we regarded Structure Data as one of the top data conferences out there. When we heard that the event - originally scheduled for this week - was cancelled, we wanted to offer our space at Work-Bench for a few informal pop-up networking sessions & presentations with the goal of gathering the Structure Data community that was planning on being here for the conference. 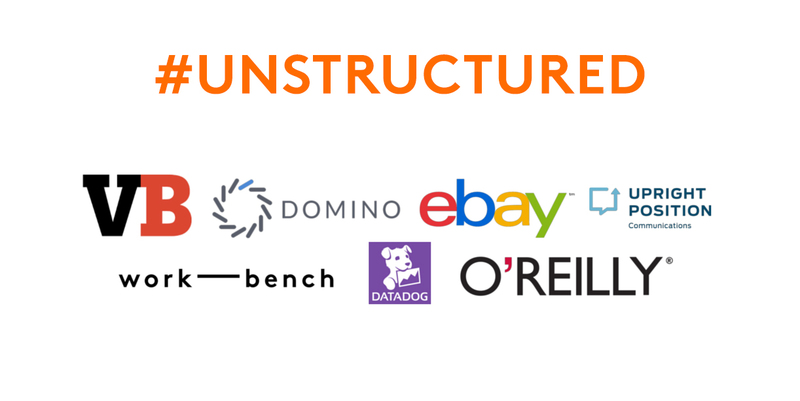 Thus, we’re thrilled to be partnering with Domino Data Labs, eBay, VentureBeat, O'Reilly media, Datadog, and Upright Position Communications to bring you UNSTRUCTURED: The first-ever Data ‘POP-UP' in NYC (use password: DOMINODATAPOPUP). The morning session will be hosted at eBay, with the afternoon session and networking drinks held at Work-Bench. You can read more about how the event came to be on Medium, and we hope to see you and the rest of the New York City data community here tomorrow. Be sure to register as soon as possible - tickets are going fast.